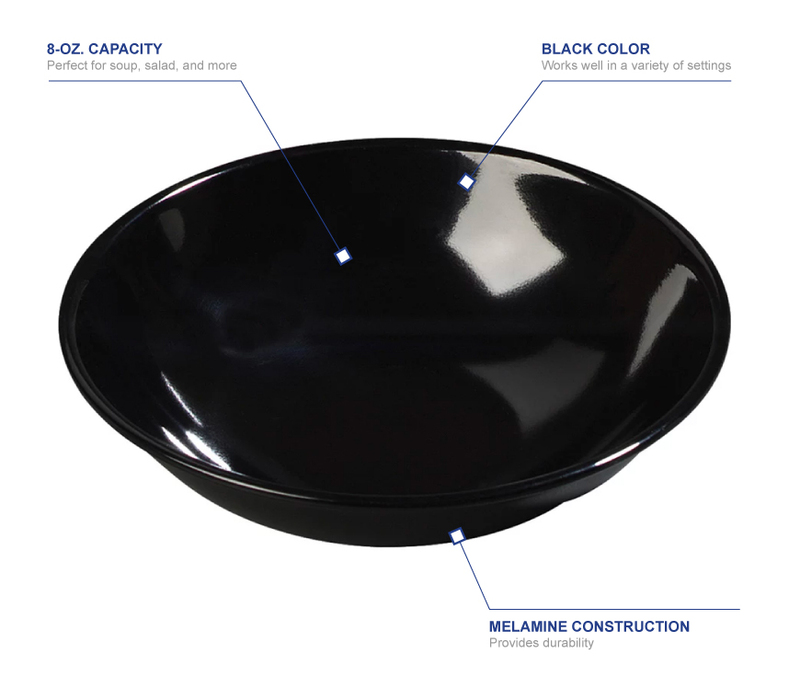 The Carlisle 500B03 salad bowl’s melamine construction withstands heavy-duty use, and while the material is dishwasher safe, it is not microwave safe. 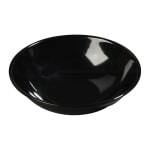 Blending into a variety of settings, the dish comes in black to show off product. The Carlisle 500B03 salad bowl has a 10-ounce rim full capacity but holds 8 ounces of product.